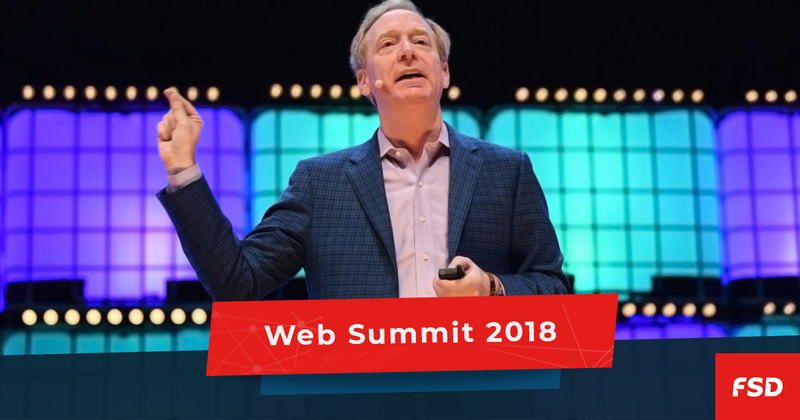 We recently went back to Portugal for Web Summit 2018. It was held in Lisbon from November, 5th till November, 8th. In just eight years it has grown from a local event in Dublin to the largest and the most important technology event in Europe. It started in 2010 with an idea of connecting the technology community with various industries. A couple of years later it became the go-to place for the most disruptive technology companies and those interested in how that disruption can transform their businesses. This year’s Web Summit attracted more than 70.000 attendees as well as 1.800 start-ups from 170 countries. Speakers came from some of the biggest companies in the world, such as Google, Microsoft, Mozilla, IBM, Samsung, Apple, Pinterest, Booking, Slack etc. The event featured 24 tracks, including big data, content, cryptocurrencies, design, software development, fintech, marketing, SaaS, robotics, etc. It felt like visiting 25 different conferences in one summit to discuss the state of technology and its application in different industries. We particularly enjoyed practical workshops held by AWS and other leading tech companies. Web Summit gets bigger every year and there is always more to see. We would definitely recommend everyone to visit it. It is a great place for networking, as well as getting to know the latest technologies and startups.